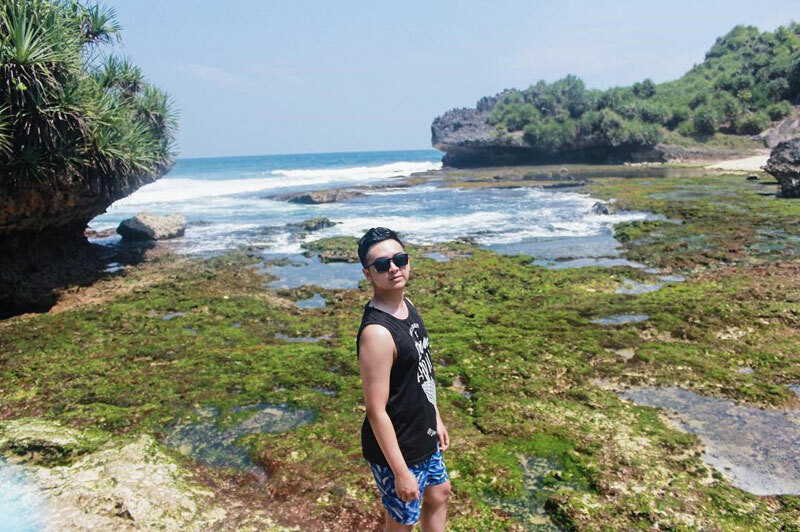 No hate for Bali but been there once, twice, thrice and seen it all? Why not consider somewhere new this time? 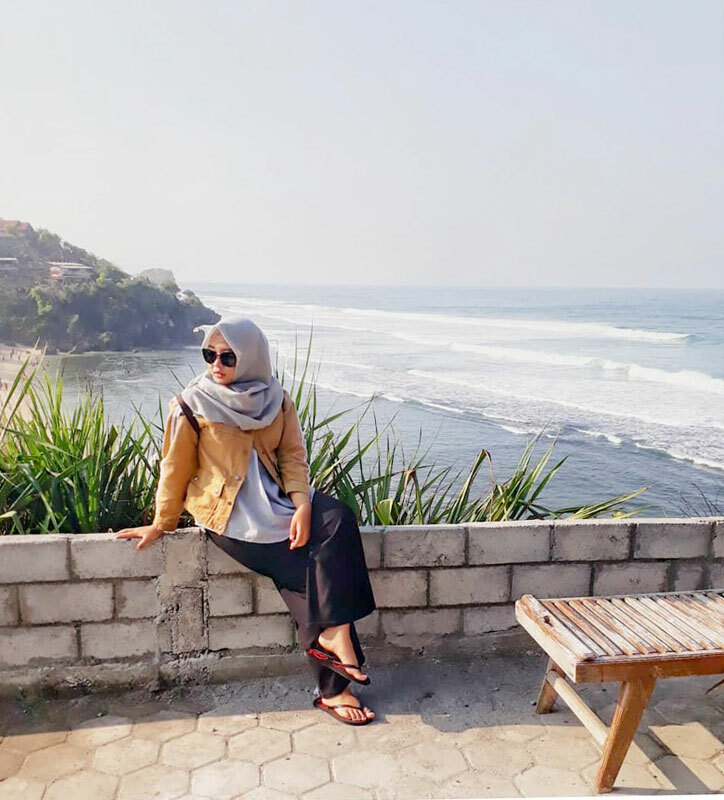 If you’re always on the lookout for mystical cultures, hidden beaches, unique natural attractions, Jogja (Yogyakarta) should be your next getaway! 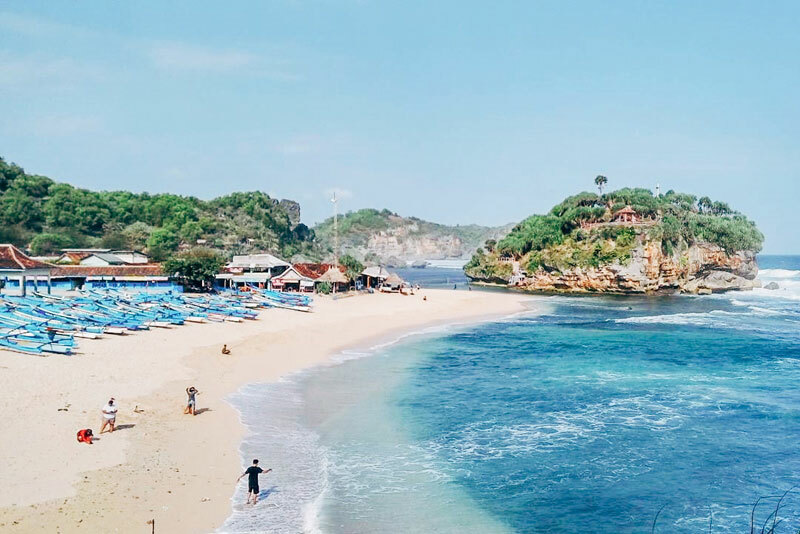 Although this Indonesian cultural hub tends to gain attention for its down-to-earth lifestyle and authentic culture, it also offers majestic beaches right on its south coast. 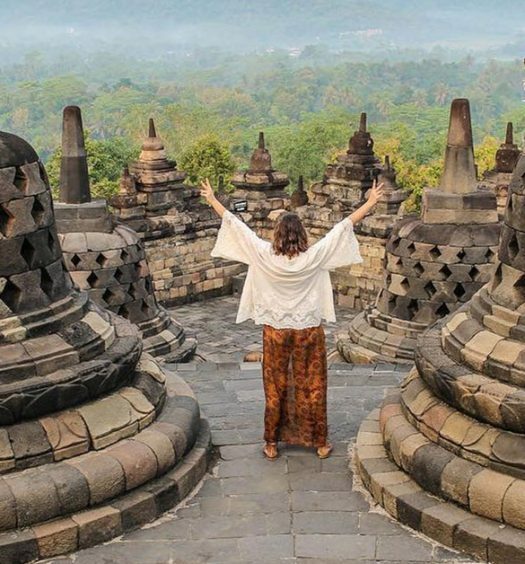 And with the development of the new airport in the southern area, Yogyakarta seems to be quickly catching up with The Land of the Gods, so hurry up before everyone else does! Here, you’ll also get to experience beachside living at an affordable price. 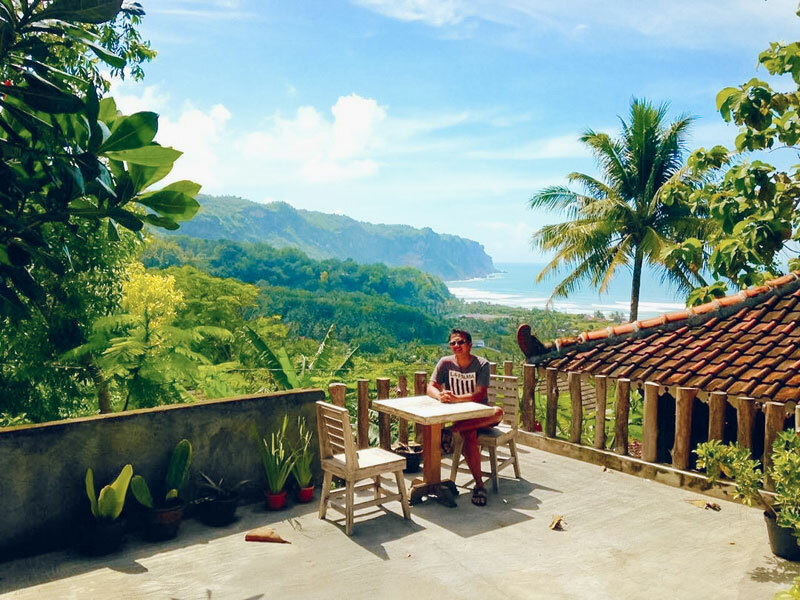 So if you wish for clearer morning blues, consider staying at one of these 10 oceanview stays in Gunung Kidul (South Yogyakarta), and you’ll see that Yogyakarta is much more than just Borobudur. If just like us “living life on the edge” is your kind of thing, you’ll want to consider a stay at Queen of the South Resort. Strategically situated on Yogyakarta’s southern coastline, the resort displays a gorgeous view of the majestic Indian Ocean that stretches across the Parangtritis shore – a scenery straight out of a postcard with coconut palm trees dotted around the whole property! After recent and ongoing facelifts, the resort now offers various room categories to suit your group size and you’ll find their best bet – a private villa with private infinity pool overlooking the endless ocean. 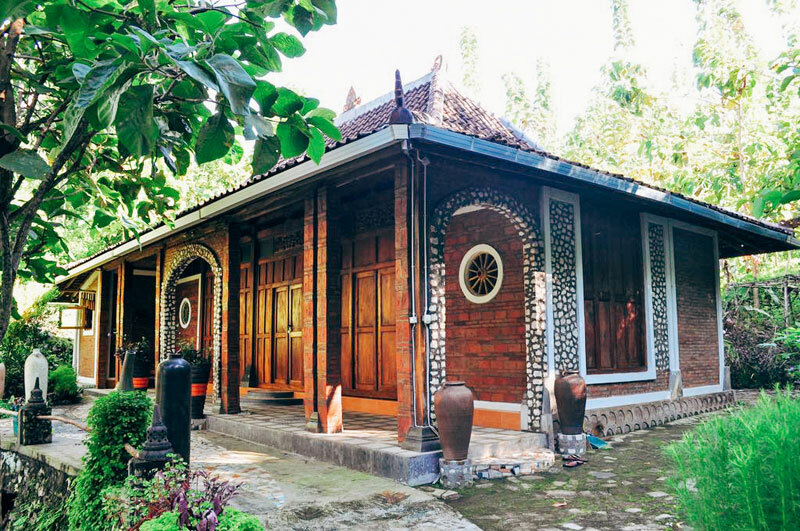 The interiors depict a good mix of ancient and modern with old-style Javanese furnitures that have been refurbished into stylish and chic pieces of art. The stunning view of the southern sea can also be spotted from your hotel room, making the horizon your daily wallpaper. 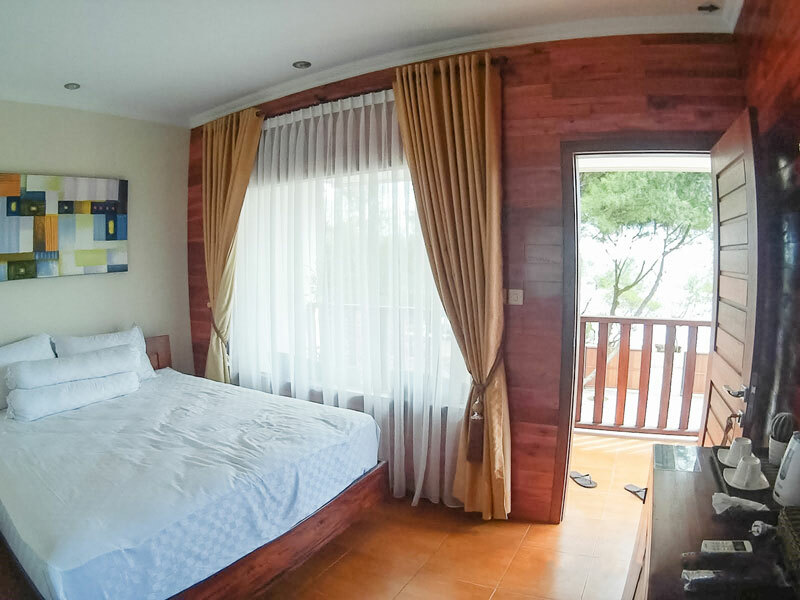 This resort is situated just 2.5 kilometres from Parangtritis Beach. 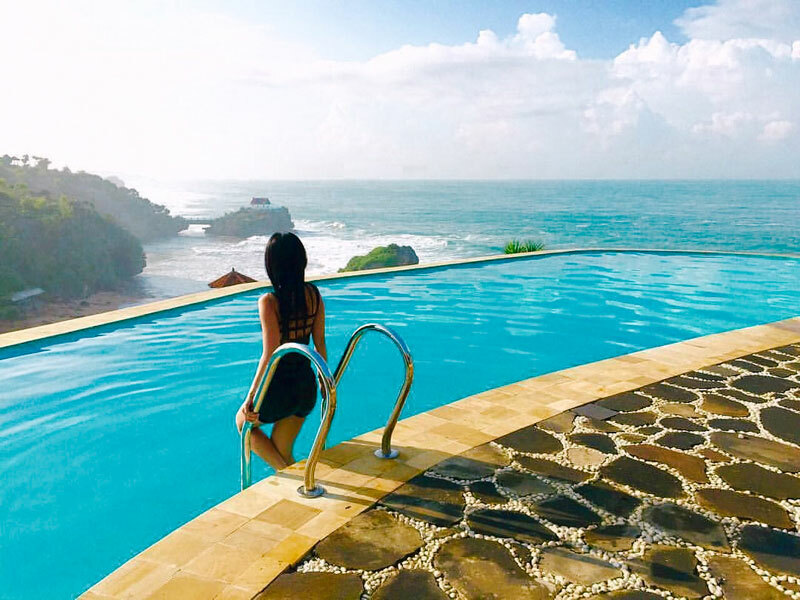 With its amazing features that are second to none, one thing is for sure – it deserves to be crowned as the queen among all hotels on the southern coastline of Yogyakarta. Note: Due to ongoing renovations, some of the ocean view rooms might not be available at the time of booking. Kindly contact the resort to check on availability. 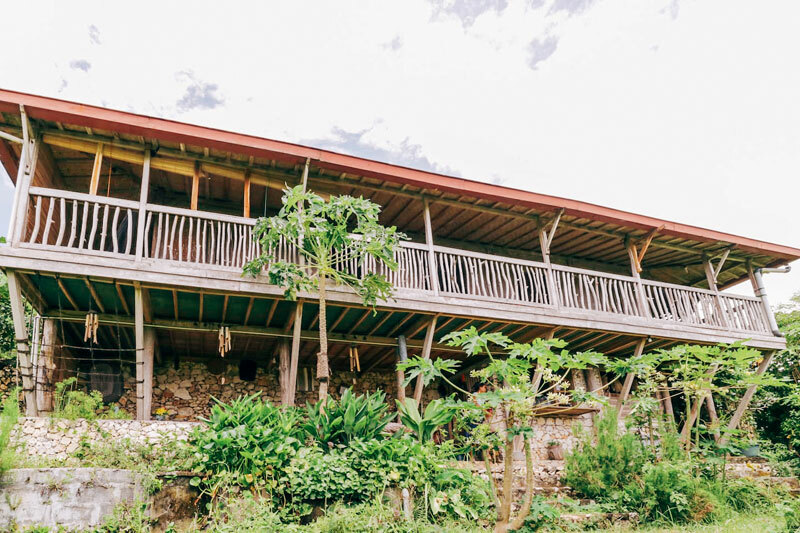 This little oasis is designed to make your holiday experience perfect and homelike, while remote at the same time! 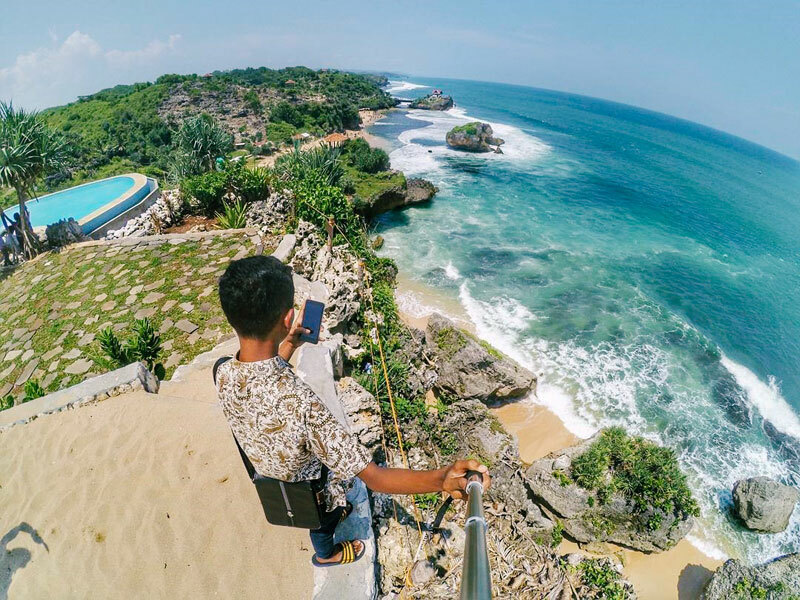 Located just 1.5 kilometres from Parangtritis and 70 metres above the hill, you can expect a breathtaking ocean view from up high! We visited the villa and it felt airy, spacious and Mr Anton (the host) was very welcoming. 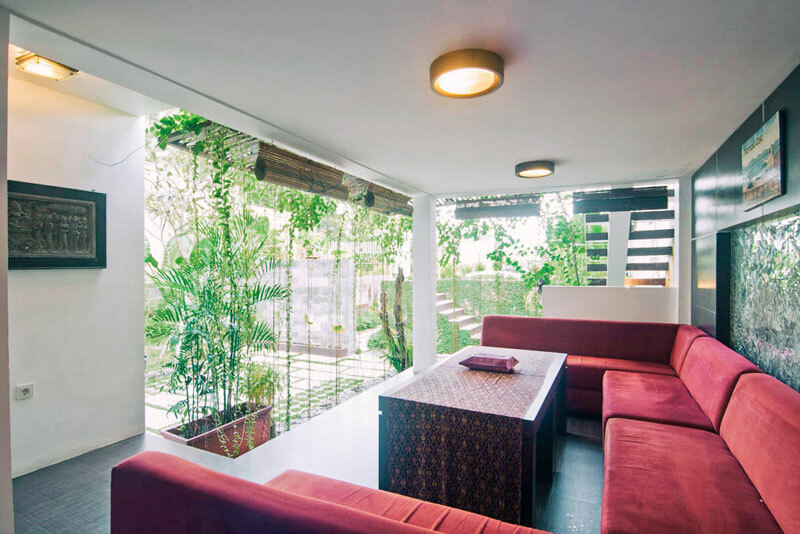 The interior was well-decorated with a little touch of Bali. While you cross over a walkway outlined by a pond of Koi fish, you’ll get to the master bedroom, which also features a modern ensuite bathroom. Right on the open terrace, you will find a jetted pool to soak in; unfortunately, since it is not exposed to the sun, it might be a little cold for many! 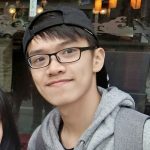 Seeking for some fun entertainment? 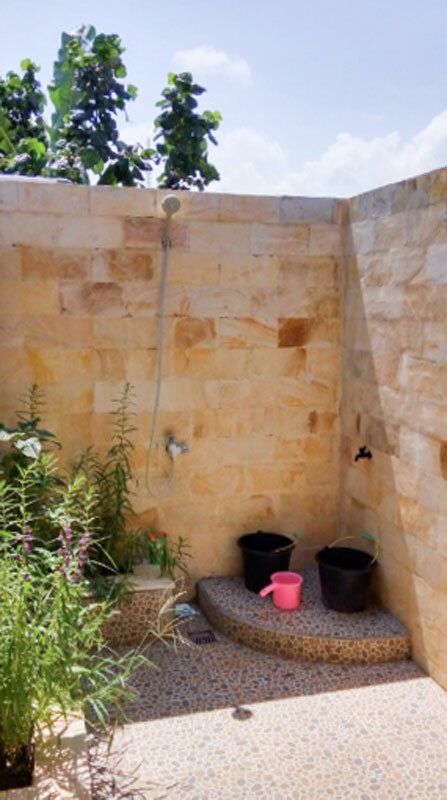 Enjoy your very own karaoke room, a place where you can “Don’t worry, Be Yonce!” You can also opt to simply cycle to the beach or read a book in their charming little garden! 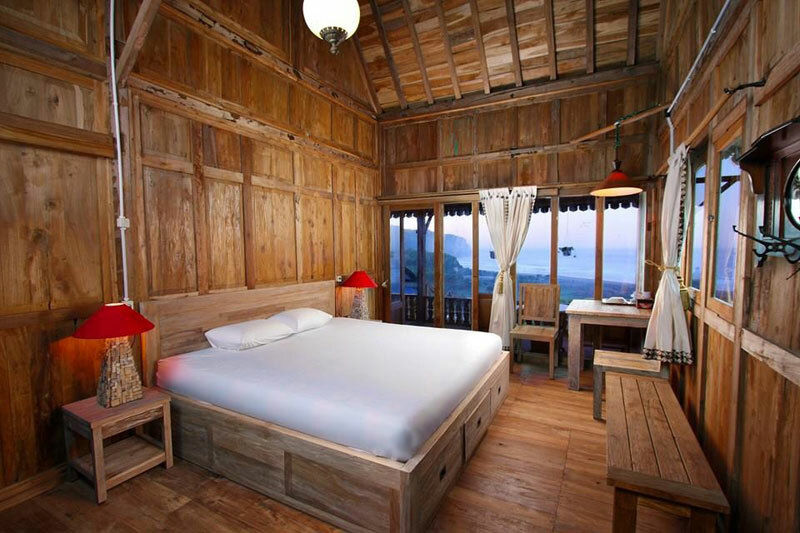 It’s hard to find well-managed stays in remote areas, but sometimes you simply wish enjoy tranquility and comfort. 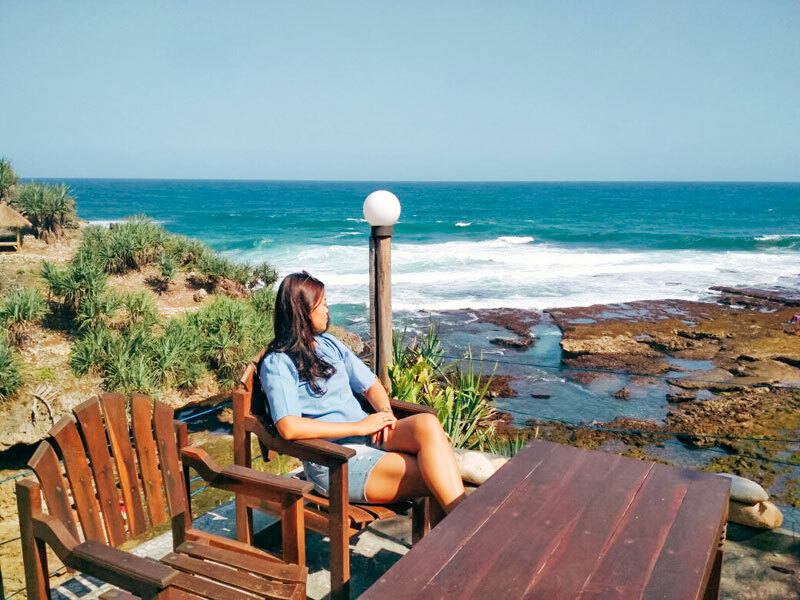 Located by the sea in Gunung Kidul region, Inessya Resort is where you can experience tranquility by the endless ocean, far away from civilization. Roaring waves are the probably the only noise you’ll get to hear, perfect for an intimate vacation! 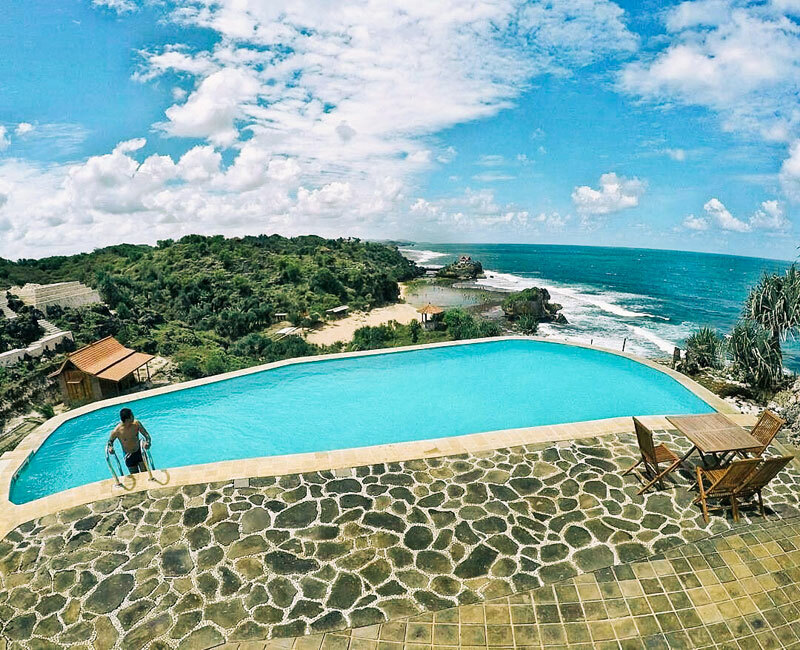 The absolute highlight of this resort is definitely their infinity pool that sits atop a cliff, overlooking the majestic Indian Ocean. As the sun slowly fades into the horizon in the evening, the mesmerising sight of the blue and orange sky fading into pitch black will leave you speechless. 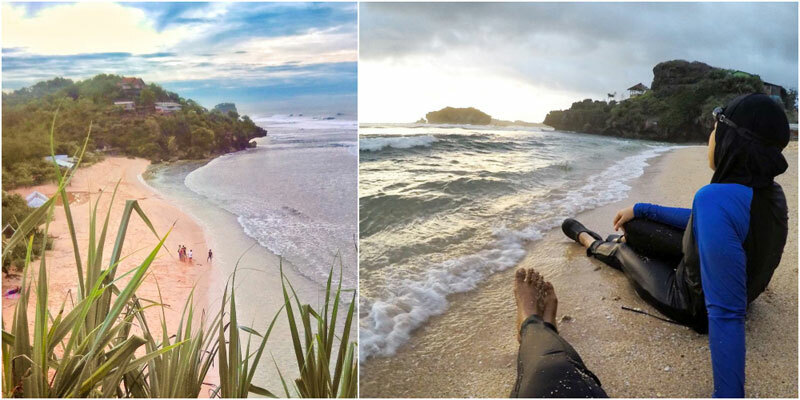 And if you’re looking for something wilder, Inessya Resort also provides a unique camping experience by the shore! 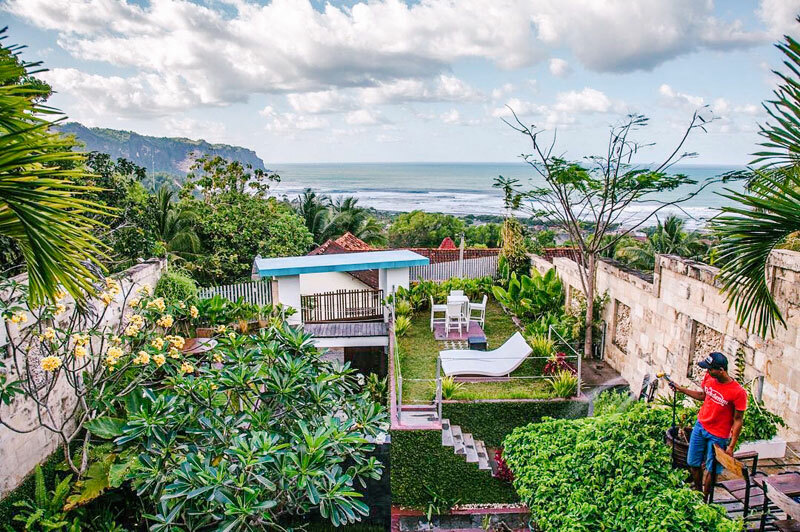 Adinda Beach Villa is perched on a hill just 25 kilometres from the city centre; the serenity and laid-back atmosphere is meant for those who seek to escape from the hustle and bustle of the city. 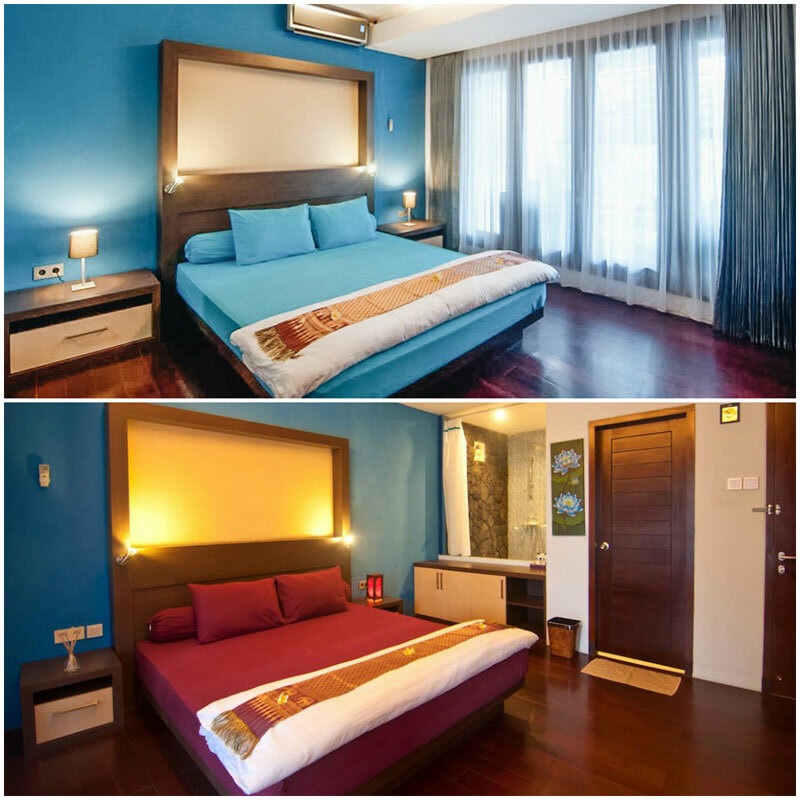 Although they offer contemporary room options, it is their traditional Joglo that wins the hearts of many. 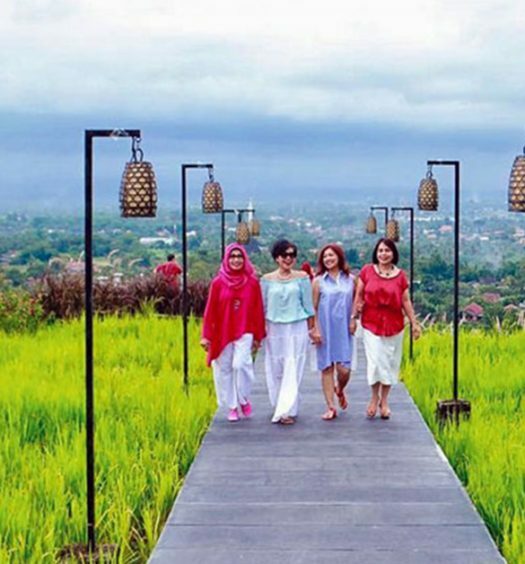 It is a novel experience that brings a unique local touch to your stay. 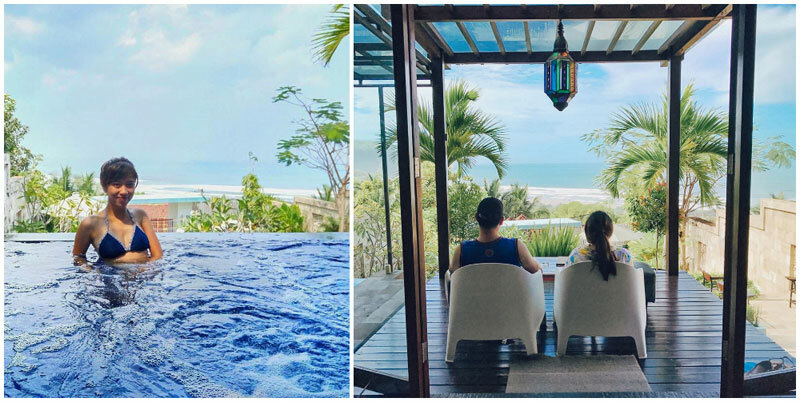 Your morning blues will never be as bright as at Adinda Beach Villa, you get to wake up to glowing ocean views with Parangtritis Beach lying just a kilometre away (5 minutes’ drive). Don’t miss on dropping by the beach area at lunch time to indulge in a fresh seafood feast – Cafe de Paris is your best bet! 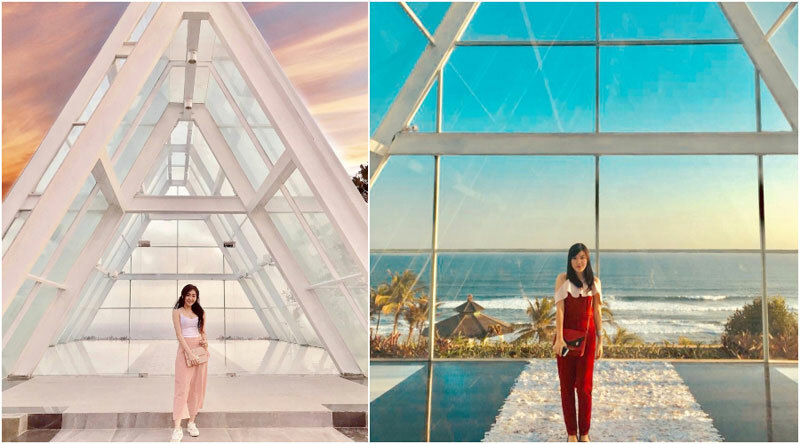 In the evening, you’ll get to experience a sky show while the sun sets low over the horizon; and all this right from your room! 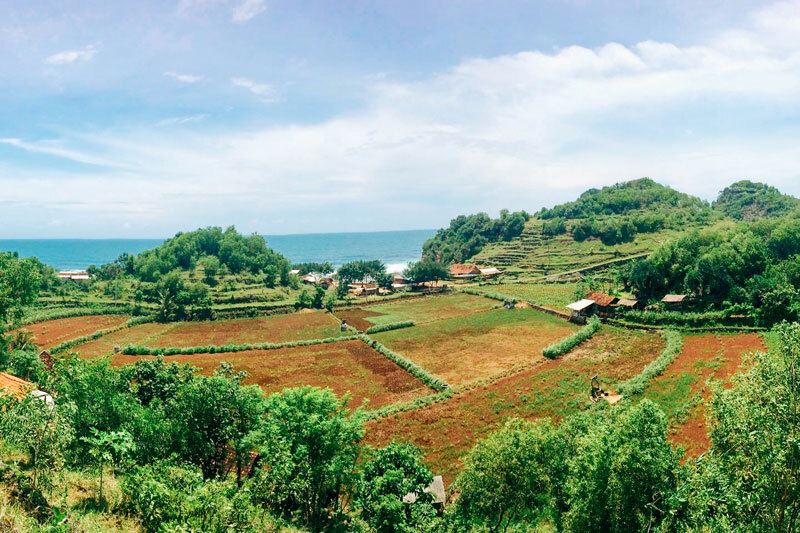 Situated in Watu Kodok Beach area, the hotel offers the experience of eco-living; one where locals cultivate organic plants for the daily healthy meals while guests can contribute by making use of the recycle bins and participating in other environmentally-friendly activities. 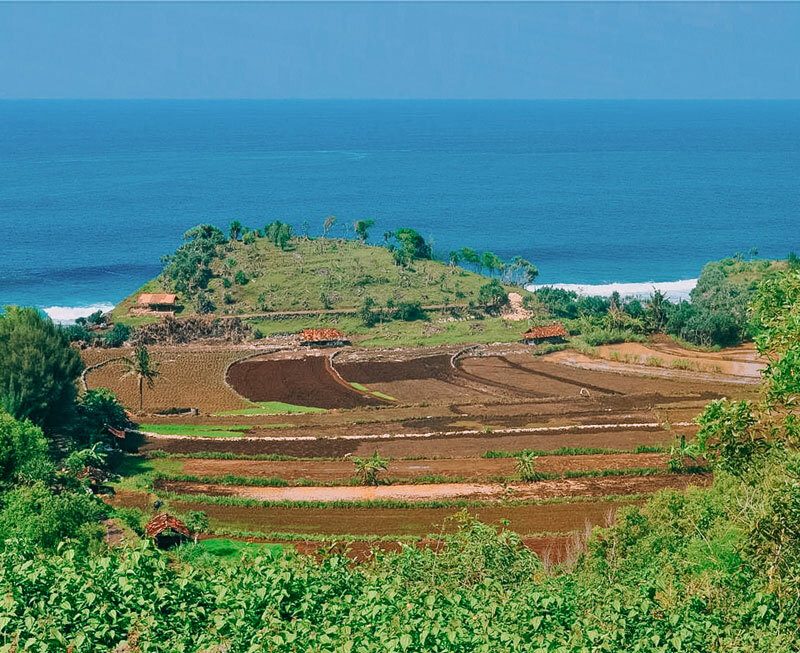 And beyond the green views, you can also spot the pristine beach of Watu Kodok, inviting you for an intimate swim session. A bare 20-minute walk from the popular beach will also lead you to a lesser-known natural pool of azure shallow waters! You’ll be rejoiced to see the dedication of the local social entrepreneurs in developing a sustainable environment within their community as part of the earnings from the hotel goes to the coastal biological monitoring, expansion of the local library, waste management processes, and the provision of English Language classes for the local community. 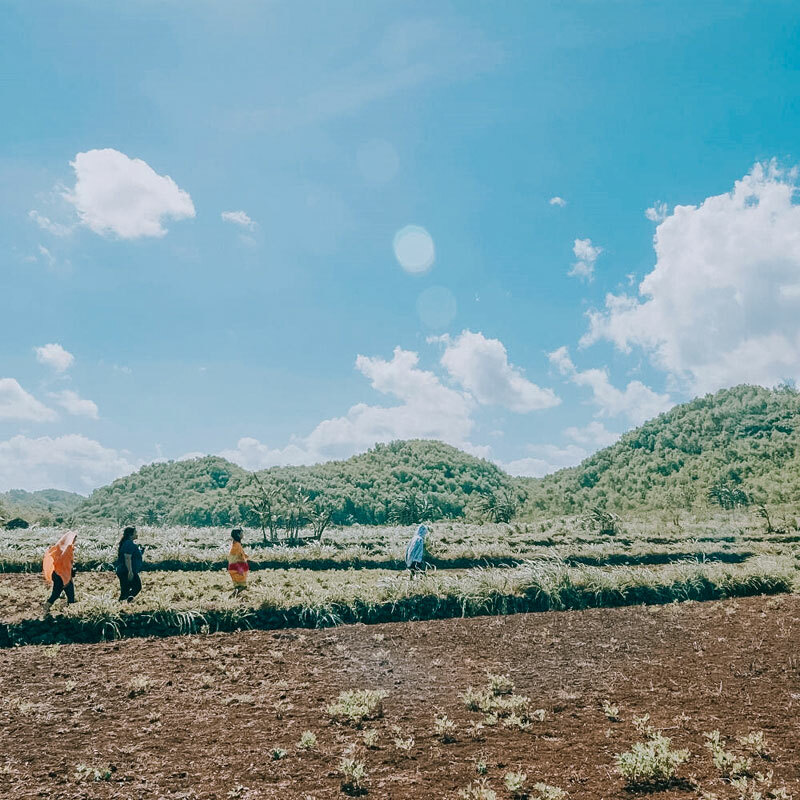 Spending your vacation here is not only relaxing and fun for you but it also allows you to support the environment and local community too! 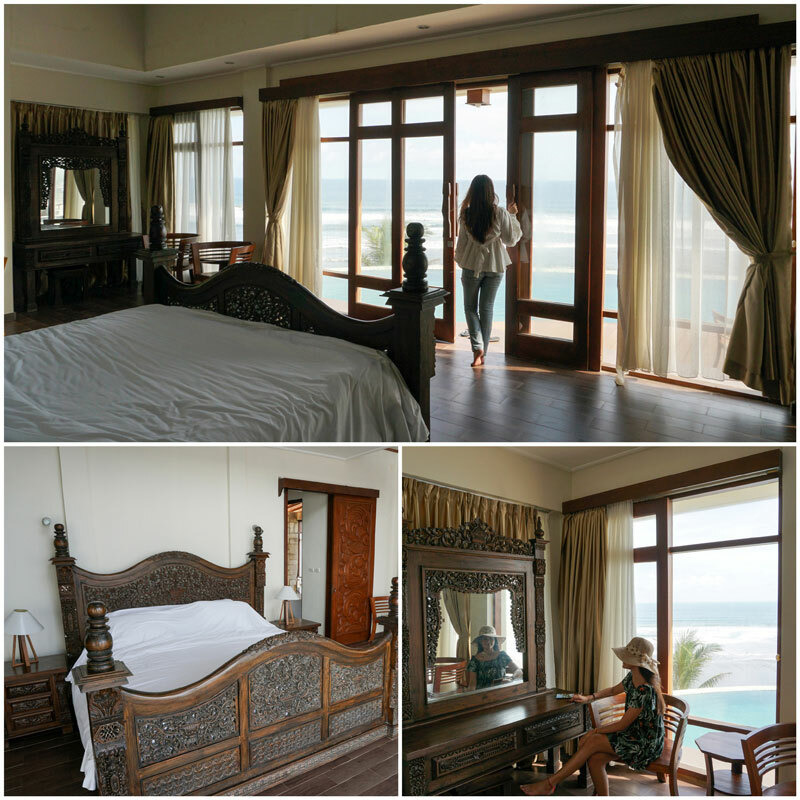 Want to experience living literally next to the majestic glowing waters of the Indian Ocean? Here’s your chance! 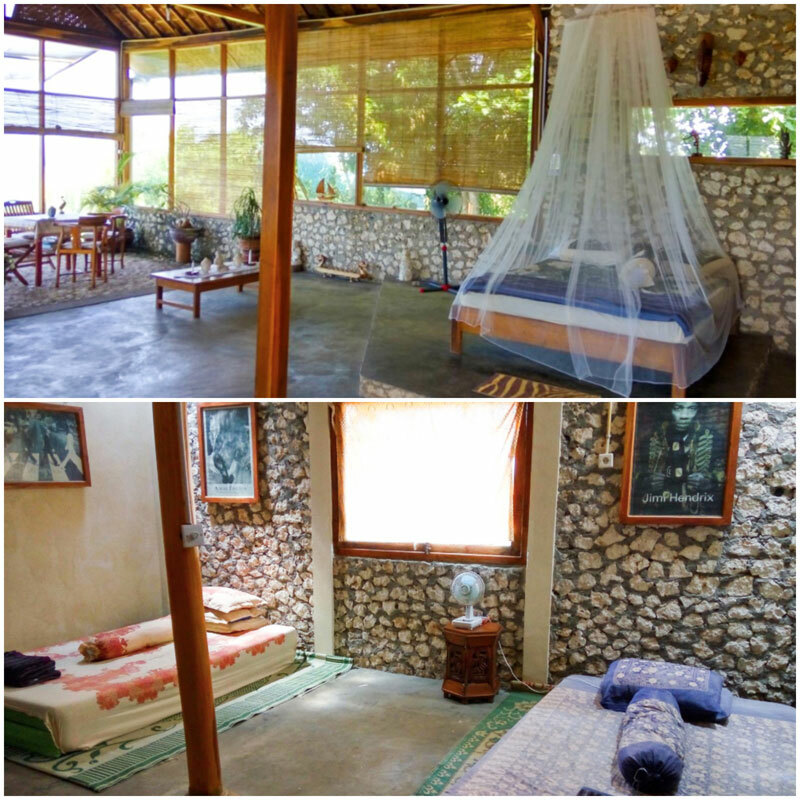 This homestay promises you comfy home feels along with spectacular views of the nearby Krakal Beach, a place known for its regular swells – you’ll have to be cautious if you are not adept at swimming. Start your day underwater with a rewardful snorkeling session or hike up the evergreen hill on the shore! If we were you, we would highly consider just chilling in the room to listen to the symphonic orchestra of the waves. End your memorable day with a delightful homemade dinner overlooking the blue horizon while the sun dips down; make use of the kitchenette to craft out your best delicacies! 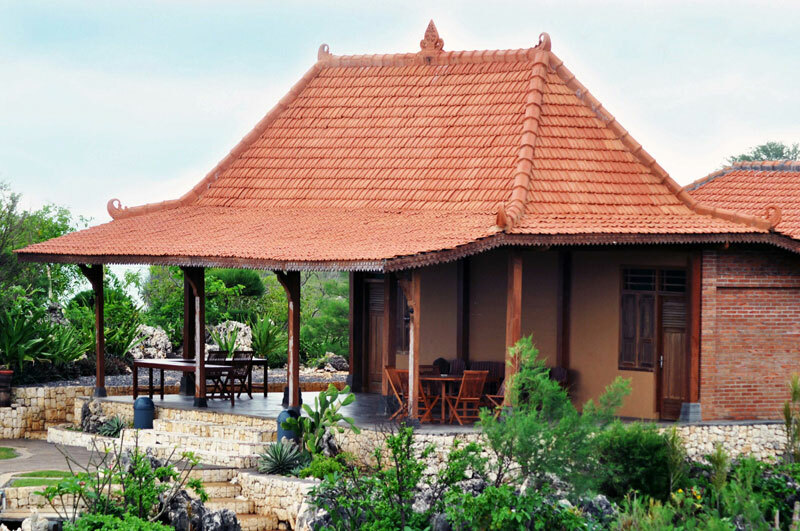 Not only does De Omah Slili offers you the spectacular view of Slili Beach, but you can also expect a unique architectural design combining the traditional to contemporary – a good mix of exotic authenticity and the luxury of comfort. 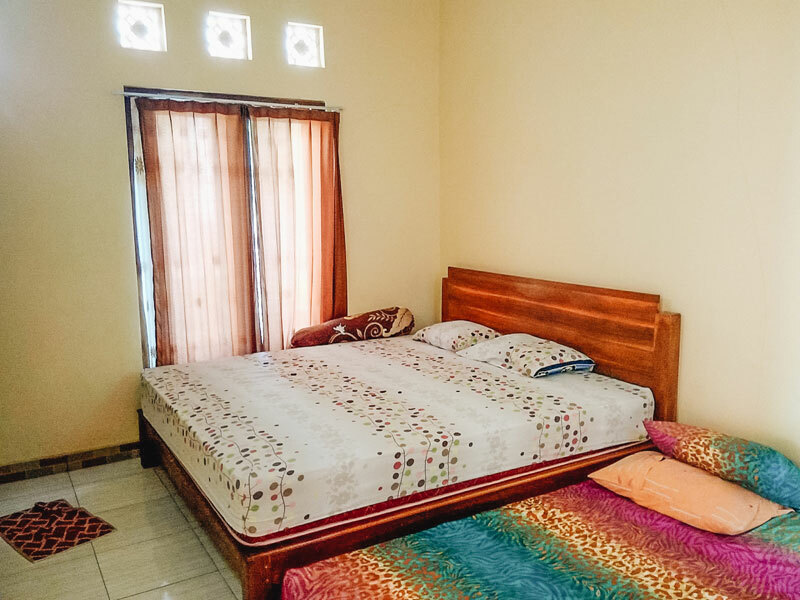 Though basic, the rooms at De Omah Slili come with all your necessary amenities and ensure a comfortable stay throughout your vacation. But although pleasant, this is not where you should spend most of your time as the beach is right across the street! 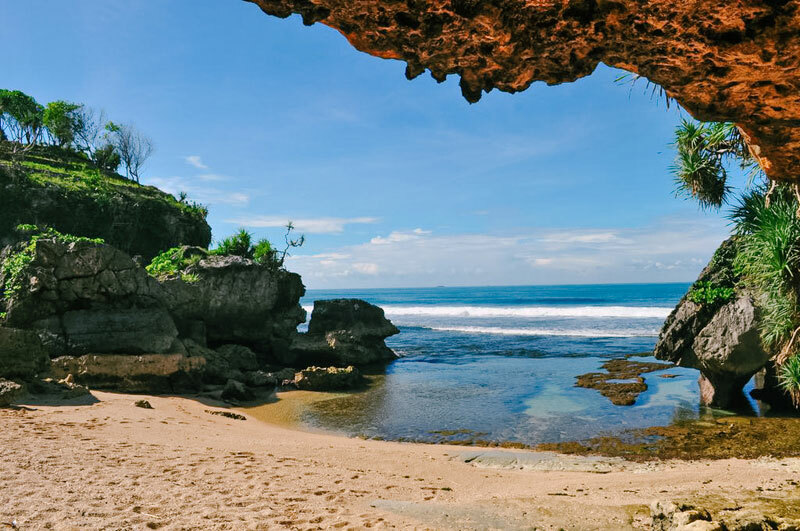 You’ll be rejoiced to find several gazebos along Slili Beach – a tiny beach sandwiched between two stunning hills. 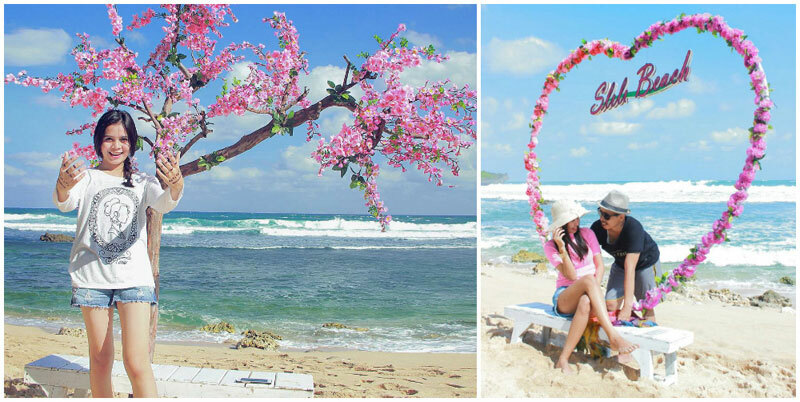 You will also find various props along the stretch of beach for your perfect vacation pictures, while the waters are home to amazing species, making it perfect for snorkeling without a crowd of people but fishes! Eager to beat the crowds and hit snooze on your next holiday? 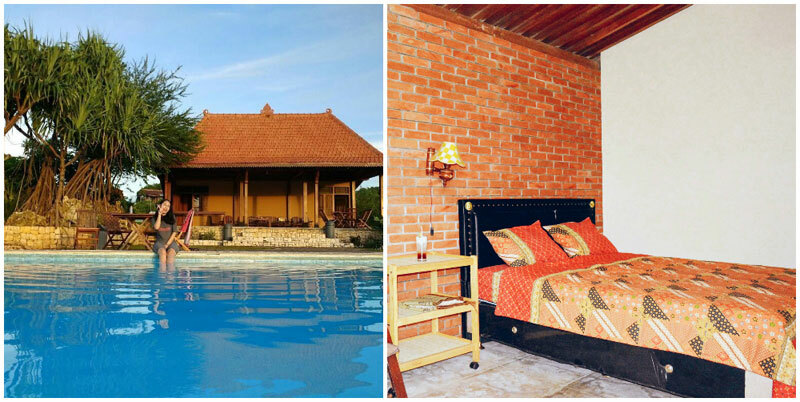 Consider spending a night or two at Villa Tentrem – the ideal place to relax with some peace and quiet. 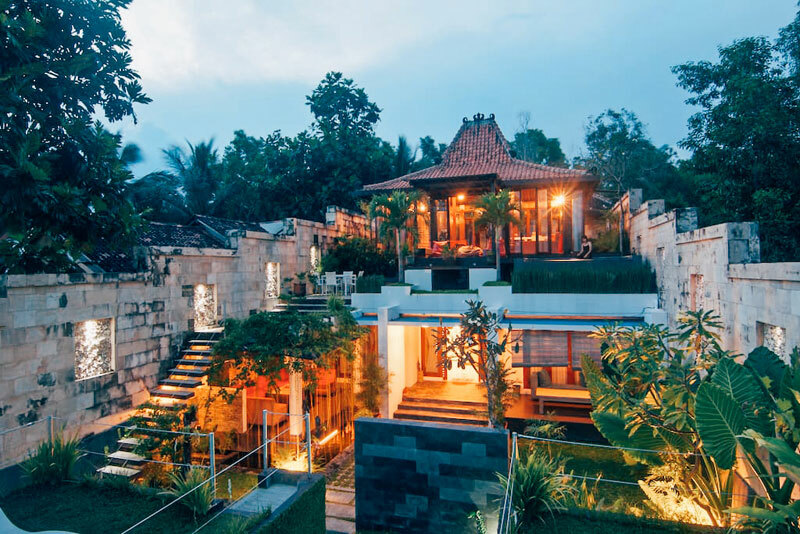 The Javanese-style stay is set hidden on a hill and embraced by lush greenery, to the sound of chirping birds and crashing waves. In fact, before talking about the views, we have to confess that the traditional architecture here is the star of the show. 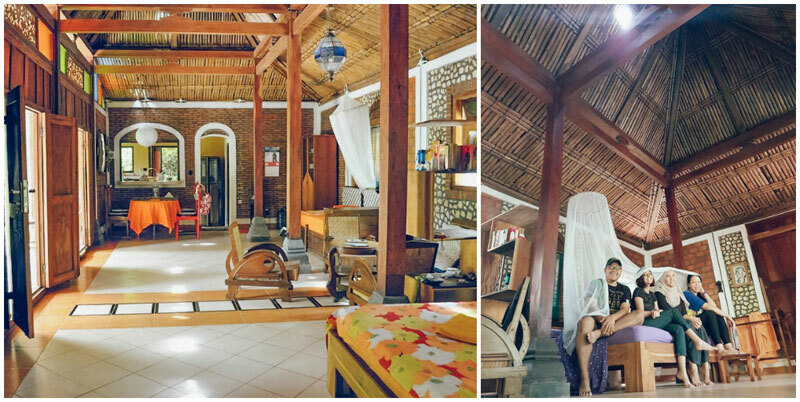 The villa is built like an authentic Javanese house, with wood as prime material. 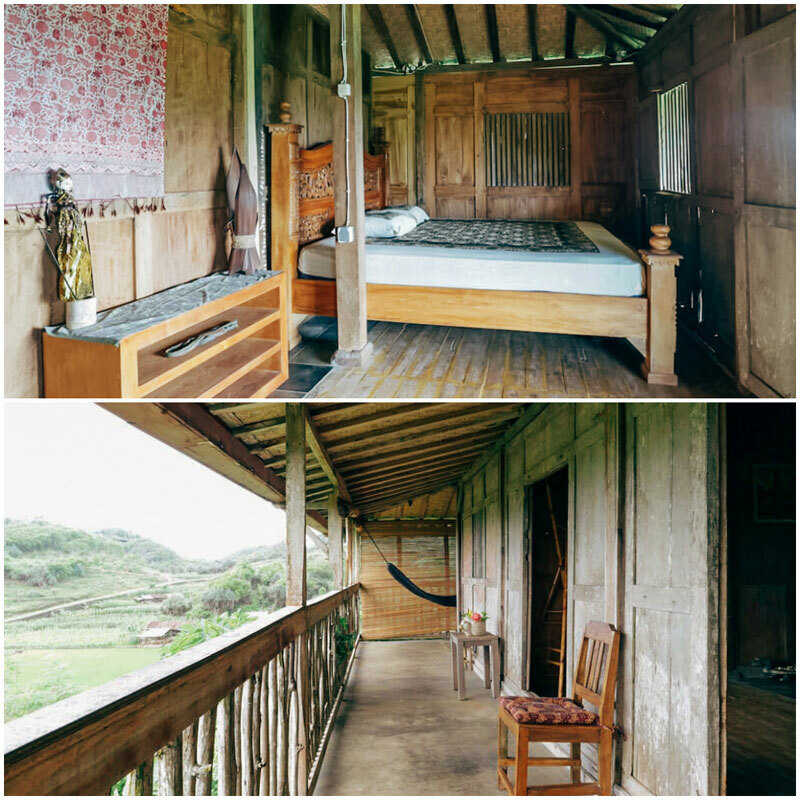 The rustic and nostalgic touch will somehow make you feel at home. Besides its unique architecture, the far-flung getaway offers magnificent ocean views right from your room’s window – the perfect place to wind down with a book and simply master the art of doing nothing. Being away from gawking tourists, whining toddlers and all-night ragers, you get to simply relax and enjoy the peacefulness. But if you’re here with family or friends, you should consider having a comforting reunion around a barbeque dinner! There’s nothing that screams “vacation” louder than great ocean views but another good sign of holiday is when even your ordinary shower time, turns out to be indulgent and memorable. In here, while you scrub, you also get to enjoy the sounds of the crashing waves! Can you do that back home? We bet not! 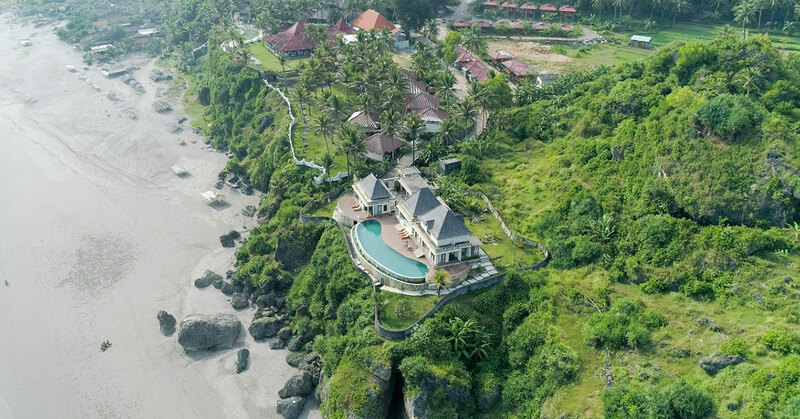 Villa Tirtasari takes “good views” very seriously; the offer is of course on the house and many have claimed that no other accommodation in the region can compete when it comes to the ocean views enjoyed at the villa. 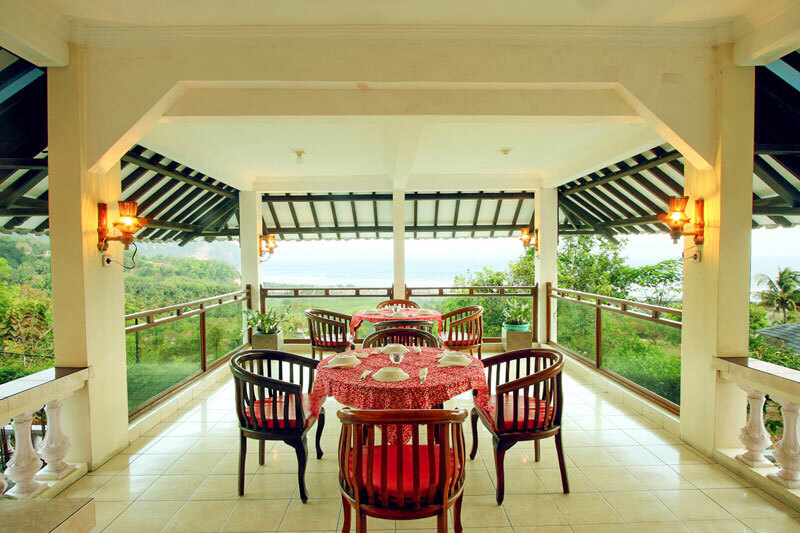 Perched on top of your private viewpoint, you get to enjoy the beautiful vistas of Baron Beach stretching to infinity. 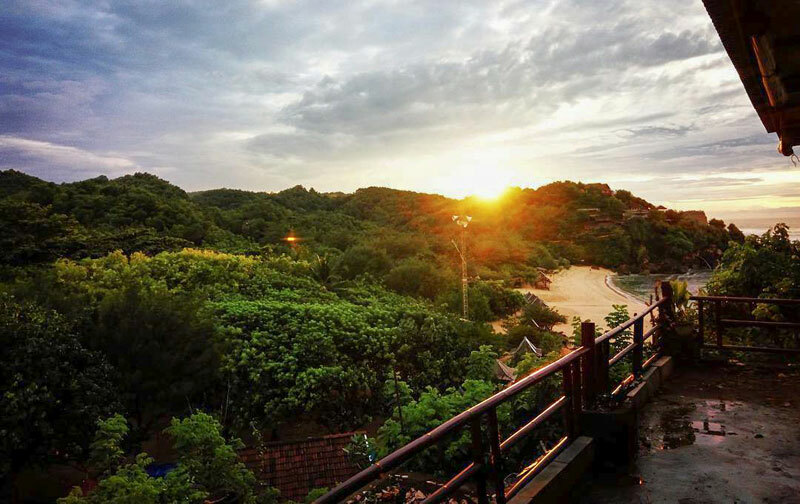 Relishing on the views is not the only thing you can do as you can also opt to head over for a relaxing walk at the beach. On the lookout for activities throughout your stay? Your hosts will be glad to help arrange some swimming sessions (at the best spots! 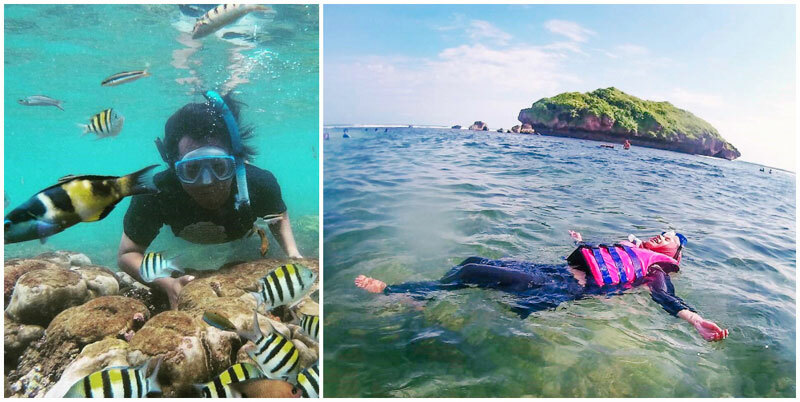 ), rock climbing, snorkeling, cave tubing and surfing for the adventurous ones! 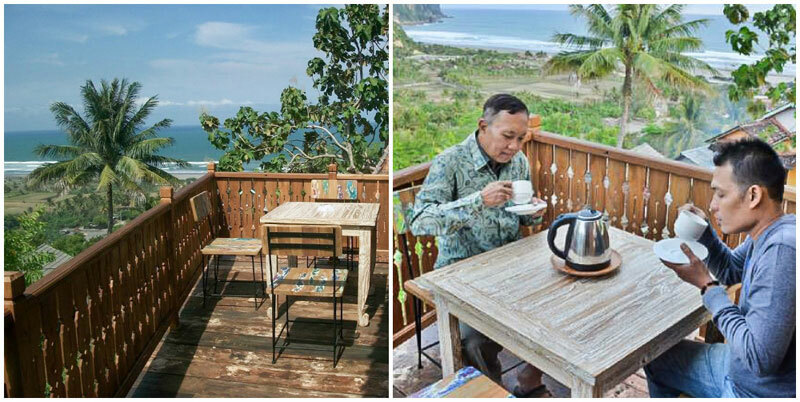 Omah Sundak takes pride in their glorious sunrise view but also their location as it is second to none. 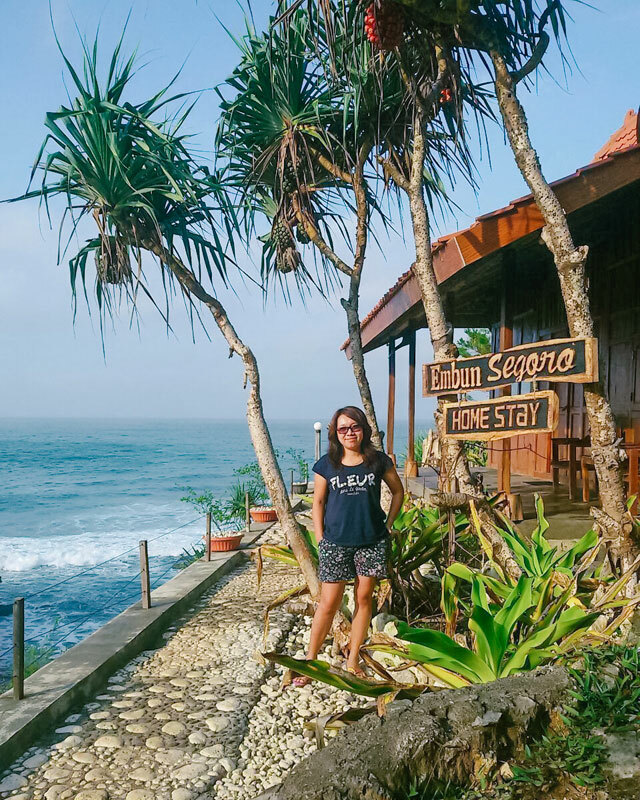 The homestay sits in between four beaches stretches, namely; Sundak Beach, Indrayanti Beach, Ngandong Beach and Sadranan Beach. 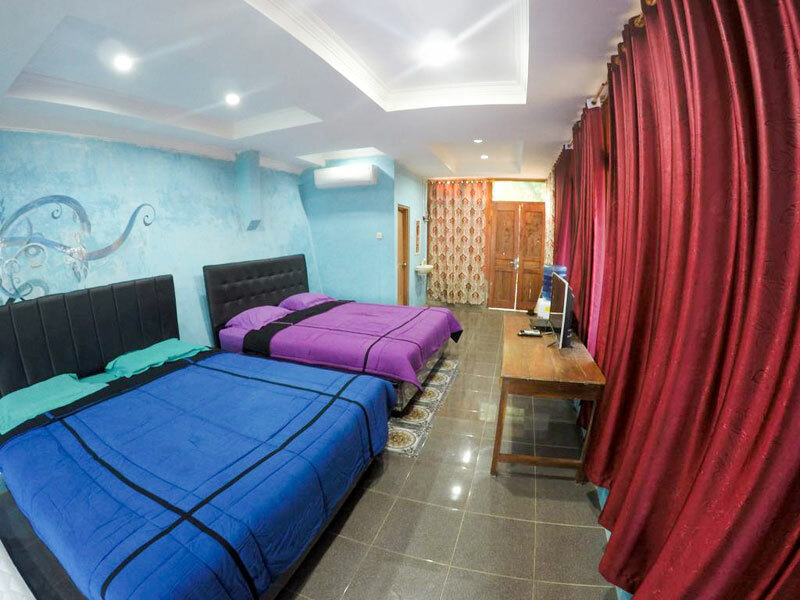 Besides the good views, various room categories are offered to guests and each of them is comfortably equipped with necessary amenities. 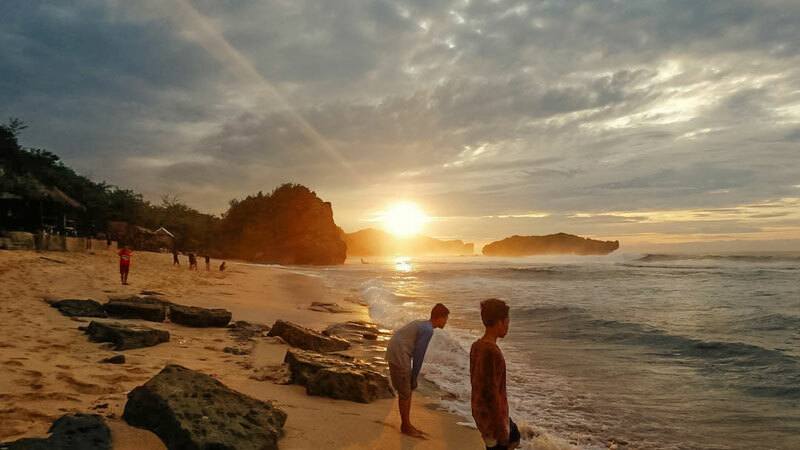 If you’re feeling a bit adventurous, walk down to the beach and challenge the crashing waves of Sundak Beach by surfing, you will also be able to enjoy dipping in the waters during low tides. And if you happen to be after some good snorkeling sessions, don’t miss out on exploring the underwater world of the nearby Sadranan Beach; Nemo, Dory and friends are waiting! 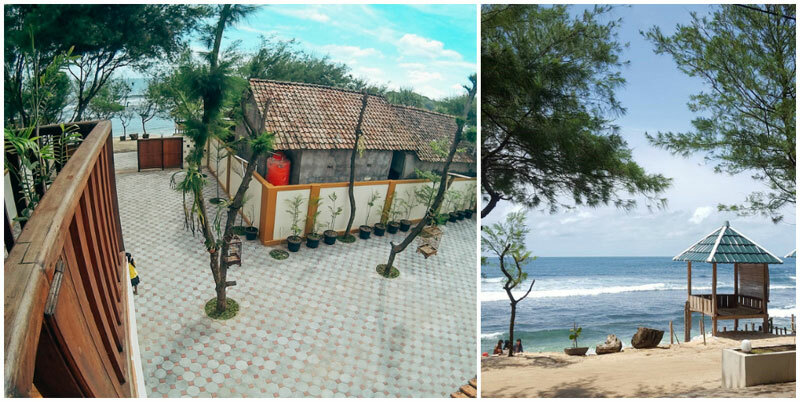 Seafood lovers will be blessed with several affordable restaurants located near Omah Sundak. 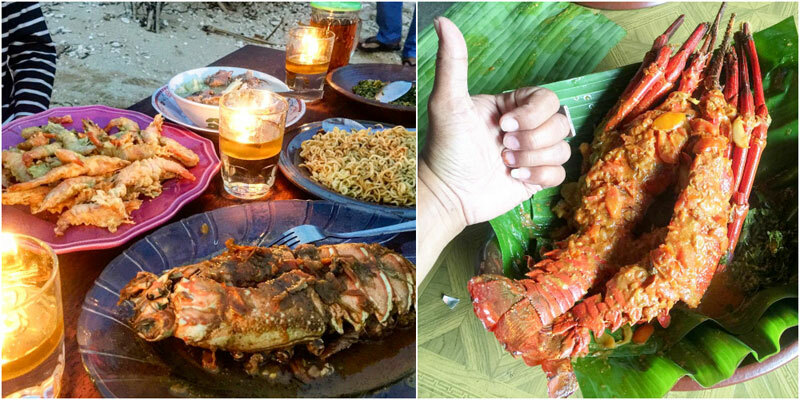 Consider trying out Warung Pondok Sundak, a place where you can expect to indulge in the fresh and tasty catch of the day, harvested from the ocean moments before it’s on your plate! 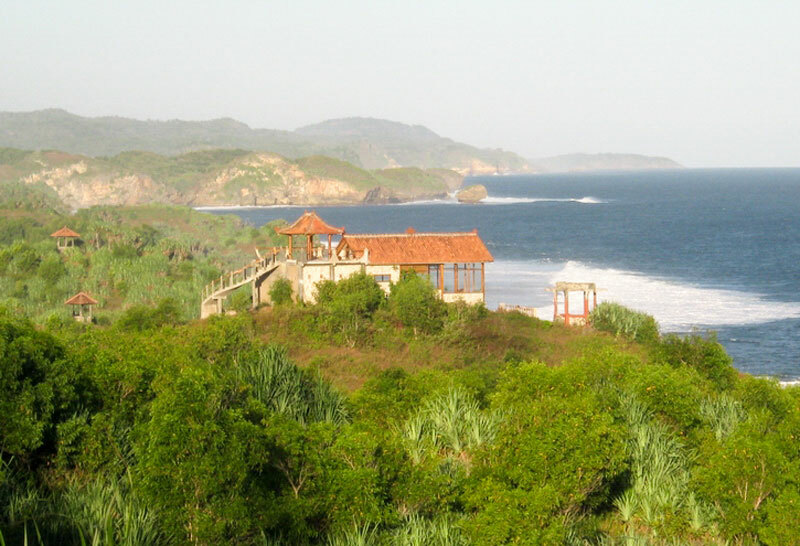 Has our list of oceanview stays inspired you to have an amazing tropical getaway in Yogyakarta? Or do you know other villa/hotels with spectacular vistas that we’ve missed out? Share it with us in the comment section below!